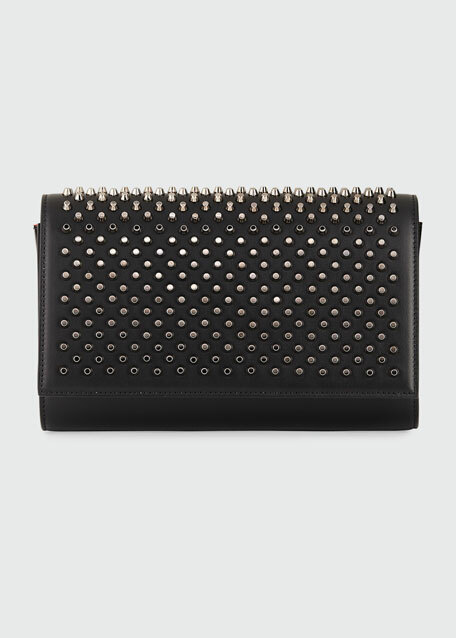 Famous for the street-smart, hard-edged look that launched a thousand style blogs, Alexander Wang brings usefulness and edge together in this pebbled leather envelope clutch. 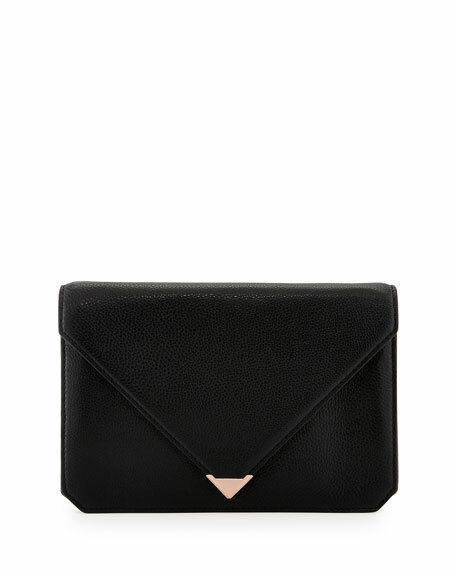 Alexander Wang pebbled leather envelope clutch. 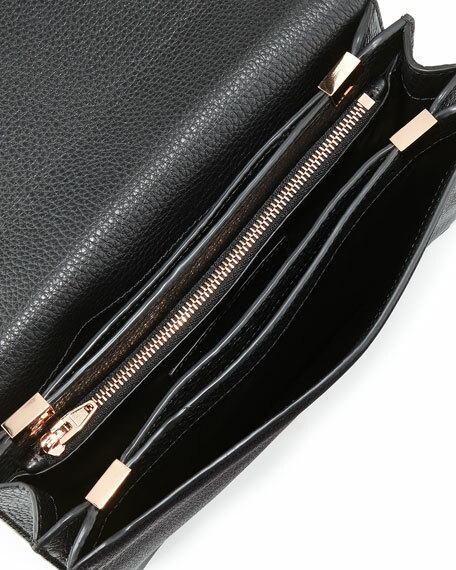 Middle zip pocket; two slit pockets. 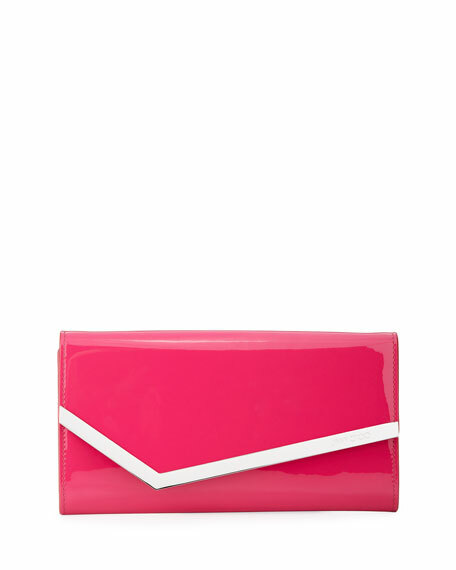 10 1/2"W x 7"H x 2"D.
Alexander McQueen frame clutch bag in gradient-studded napa leather. 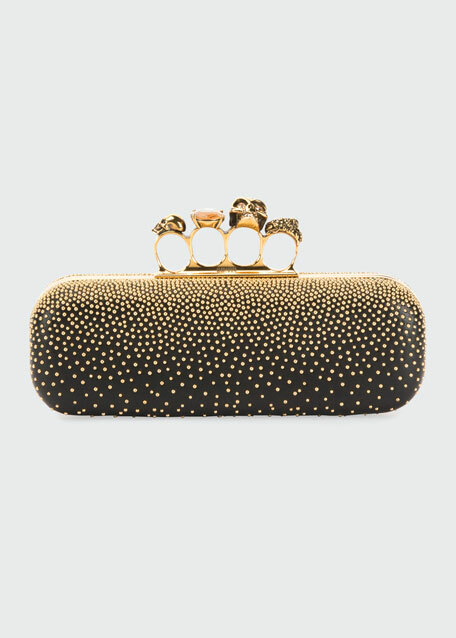 Signature hinged clasp with skull and crystal ring embellishments. Slim, hard-shell design. 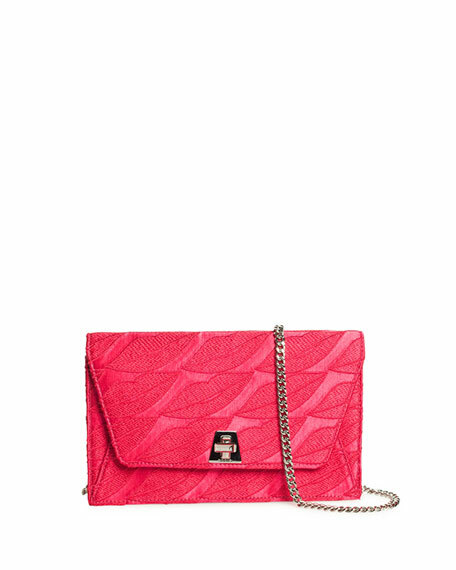 4.7"H x 9.4"W x 2"D. Made in Italy.